Whether you are an elite runner or a first time marathoner, training for the 26.2 mile distance requires months of training and countless hours and miles recorded out on the roads. It only makes sense that this kind of demanding training regimen would result in significant weight loss for anybody crazy enough to take it up. So why do some runners report actually gaining weight during marathon training? Is that even possible? If you are one of those runners who is experiencing this anomaly, there may be a few explanations as to why this could be happening. In this article, we’ll outline three possible reasons you might gain while training for the marathon and hopefully help you understand that it may be a normal occurrence. You body responds to exercise by making a number of adaptations and physiological changes. One such change is the formation of muscle mass. Yes, even distance running can promote muscle growth, especially in the regions of the legs that are being used the most. Add into that any weight lifting and strengthening exercises you may do and BOOM -> muscle gain! Muscle mass is denser than fat mass, meaning that one pound of muscle takes up less room on the body than one pound of fat. If your body looks the same or even trimmer, yet you are heavier on the scale, the addition of muscle mass could be to blame. And that is not a bad thing. Untrained athletes who begin an endurance-training program can increase their body’s ability to store muscle glycogen by 60-70%. Endurance-trained athletes consuming a high carbohydrate diet and/or carbohydrate loading can also increase muscle glycogen stores by nearly double that of the untrained state. As you may have read in the article on carbohydrate loading, for every ounce of glycogen, the body also stores 3 ounces of water. That extra water your body is storing will show up as extra “weight” on the scale. Water weight will contribute even more to overall weight if you are being more diligent at staying hydrated than you were before beginning your training regimen. Water weight will fluctuate throughout the days and weeks and is not reflective actual weight gain as fat mass. Remind yourself that being able to store extra glycogen and fluids is a good thing- you will need this for training and especially race day. One common mistake that runners make, veteran or newbie, is overestimating their energy needs, or how much they need to eat in response to their training. It seems like logging 20 miles on the roads over the course of a few hours should give us a free pass to eat anything our hearts (or stomachs) desire. But it is easy to overestimate how much we actually need and worse, it is easy to make bad choices if we feel like we “earned” it. During my 20 miler I burned about 1600 calories. I easily made up this amount and more with food that didn’t offer much in terms of nutritional value. If I fueled myself during the run with gels or sports drinks, which may have been necessary, then my energy intake is higher still than what I burned. Although it seems that I needed to replace the calories burned during my run, I overestimated how much that might actually be and how quickly the calories can add up, especially when not choosing the best foods. 2) Maybe the Packers play the late game so instead I go home, shower, and pass out on the coach for a few hours. When I wake up I am ravenous and looking for the quickest, easiest thing I can eat. Cereal looks good. Three bowls of Fruity Pebbles later and I am still hungry, but now with a taste for sugar. Onto that pint of ice cream I tried to hide in the back of the freezer. Once that is gone my stomach really starts to hurt and I begin to realize that this was not a good thing that just happened. This is a bit of an exaggeration but the point is that sometimes we do not want to eat right after a run or we are so exhausted that we would just rather rest a bit. Unfortunately, our bodies want food and they want it now. The longer we wait to replace what was lost, the more attractive the sweets and fatty foods become because our bodies just want to get fuel back as quickly as possible. Sugars are easily absorbed and fats supply the most energy, so naturally that is what we will crave if we let hunger get out of control. All of your hard work towards weight loss can be negated by these momentary lapses of judgment that come from making food choices based on reward or uncontrollable hunger. Weight gain during marathon training is more common than one might think. The important thing to think about is the reason(s) why you are gaining weight. Increased muscle mass and glycogen storage are good things. Overcompensating for your energy expenditure, however, is something you can fix to get back on track. Save sports drinks and gels for your long runs and workouts or when weather conditions are very hot. Otherwise you are just taking in extra calories that won’t really benefit your run. If you need electrolytes, consider an electrolyte supplement instead, which will have fewer calories and sugars. Remember that as you start training more, you might also be resting more. Marathon training takes a lot out of you and you may not be doing some of the same activities you used to: weekend hikes, mowing the lawn, cleaning out the attic, etc. If your daily life outside of running has become more sedentary, your body will require fewer calories for energy than before. 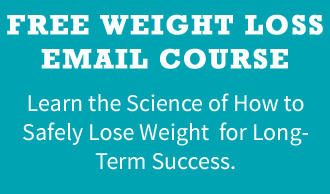 Finally, weight is merely a number on the scale and just one measure of overall health and fitness. Pay attention to how fit and toned you look and feel, how your clothes are fitting, and what your body fat percentage is (if that measurement is available to you). If you are good in those areas, then the weight gain is due to the other factors discussed and not a gain in fat mass. Thank you for this article. As an avid exerciser and group fitness instructor I am used to being very lean and toned. I have maintained the same weight for a long time (5’6″ 106-107 pounds) and workout (admittedly) like a crazy girl! I am super interested in nutrition and cook all of my families meals from scratch and eat a GF diet and feel great. Then I started the long-run portion of training for my first marathon……….I have upped my calories a bit, upped my protein about 25%, and started really being good about my water (170oz/day) but have noticed a lovely 3-4 pound increase on the scale. Had my body fat tested and it was 10.1! Yikes! I have been wondering what I have been doing wrong and this article has been a great starting point to help me figure out how this change in training is affecting my body. BTW, I run about 40 mi/week and alternate with stair mill, xbike, bootcamp classes, weight lifting, interval training, bikram yoga, etc…. I am 100% discouraged that I don’t know what to do, so here I am. I’m training for a marathon in July and I have run a total of 32 miles in 6 days. Eating no more than 1300 healthy calories a day (if even that. e.g. fresh salads, cooked egg whites, onions, apples, bananas, fiber cereals, unsweetened almond milk, greek yogurt, veggie and roast beef sandwiches and pears). I have gained 5 pounds and am at a weight I haven’t seen in 3 years!! This has never happened to me before, I feel like giving up and on top of everything my clothes are NOT fitting any better, so there’s no toning situation going on here. My clothes are actually tighter!! I’m just literally gaining weight everywhere. My breathing has improved, but that’s about it. I’m exhausted and this makes no sense. My body is beyond stupid. I have trained and run before (for a half marathon), but this did NOT happen (I did not train as hard then though). Nonetheless, I am beyond discouraged. The article above makes sense (and I have a background in science, so I understand how the body adapts), but what’s going on with me is just absolutely ridiculous. How can I be gaining weight (and inches) when I’m running so much? At this point, I’m seriously considering canceling the marathon. I can’t afford 5 pounds of weight gain per week plus my clothes feeling even tighter! !… I’m so lost right now. I feel fat and maybe I should just sit in a corner and eat all I want. At least that way I would at least enjoy and know that I deserve the weight gain. Is there any hope for me or do I have to starve myself to end this madness??? Hi Rachel, it is likely that you are not eating enough, and your body is in a state of starvation where it is holding on to everything as it is not sure what is happening. Try to include more good fats in your diet; avocados, nuts, salmon, and try to increase your protein intake to make sure your body is able to continue working. Your weight will fluctuate during training, and 5lbs is not something you really need to worry about as the weight will likely come back off soon as your training volume continues to increase. This post may also help you calculate how many calories you need to consume. You definitely need to increase your caloric intake as your training continues. https://runnersconnect.net/running-nutrition-articles/why-you-might-gain-weight-while-running/ Hope this helps! Actually, one thing. You burned 1600 during the run, but you’re probably going to burn 2k from the run with the post exercise metabolism spike. Not only this, but your body would burn 2k calorires at rest. So your 2k calorie lunch is actually just the tip of the iceberg for what you’d need to meet the days caloric needs. HI Rachel, I am feeling you right now. I went from sedentary to walking every day and starting the C25K program. My intention was to regain my health AND lose weight, at least 15 lbs. I am in Week 3 of C25K, and walking at or more than 10,000K steps per day and I am gaining weight. Like you, the scale is climbing. I want to cry. This is NOT what I signed up for. I also cut out fast food, and went back to a mostly paleo diet – and I try hard to only eat organic, non processed foods. After getting on the scale today and seeing several extra pounds, I want to quit. Maybe I’m not eating enough? I am sure I haven’t increased my calorie consumption. If anything, it’s reduced because I’m not hitting McDonalds anymore. Hi Molly, thanks for sharing. Sorry to hear about your struggles, but it is good that you have found someone else who is going through the same thing as you. Do not give up just yet, as we explained in this post, sometimes this happens at the start of training, stick with it, and the results will come. You definitely want to make sure you are eating enough, as otherwise your body will go into starvation mode and will cause you to retain everything. Check out this post also, it may help you make the right choices https://runnersconnect.net/running-nutrition-articles/weight-loss-running-performance/ Can we help with anything else? Hi Jo, thanks for reaching out. Sorry to hear you are struggling. Hopefully this article brought you some comfort, hang in there, and give your body some time to adjust. Make sure you are taking our recommendations into account, as you see, many other runners go through the same thing. Try to focus more on feeling good within your runs, and the weight will take care of itself, that stress will make your body feel something is wrong, and it will cling on to weight even more. The slowing down of your pace may make a little difference, but it will actually help you in the long run as you are going to feel better on your runs, which means you can handle more, and get to the higher intensity training that will help even more. Hang in there! Hope this helps. We also can tailor a nutrition plan to you if you are interested in our program, we would be happy to direct you towards it if you like! Hope this helps!